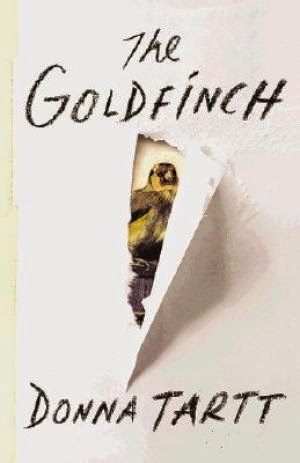 I'm a bit late on the bandwagon, I know... but I've just started reading Donna Tartt's newest book, The Goldfinch. I was a little hesitant to even begin it, despite all the praise I've heard. My experience last fall with Eleanor Catton's book, The Luminaries, put me right off "big" books. And when I say "big," I mean (mostly) with respect to the huge amount of fulsome praise and media coverage these books garnered. But I also mean "big" in the sense of size. When I looked at Tartt's book (a whopping 771 pages), it just made me feel tired. Kind of how I used to feel when a professor at university assigned a five thousand word essay instead of, say, a fifteen hundred word one. Why, oh why, was it sooo much harder to get started on the bigger task? But I must say, I am loving this book. And unlike reading Catton's book, when I found the excruciatingly detailed description... excruciating... I'm sliding through this book effortlessly. Like a hot knife through butter. The Goldfinch is one of those books that is completely absorbing. You kind of crawl into the story, and then look up after an hour (or three) blinking and wondering where you are. 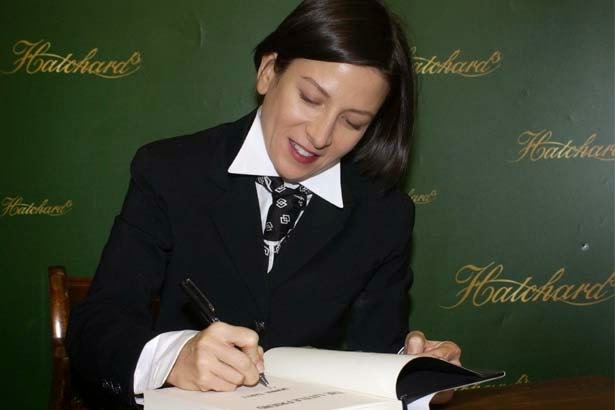 I found this picture of Donna Tartt on the style website, The Fashion Spot. She's lovely isn't she? I love that menswear look on her. And the cravat. Surprisingly, to me at least, the rave reviews of The Goldfinch are only half the story. For it seems this very big book has unleashed an even bigger storm of literary controversy. Winner of the Pulitzer Prize for Fiction and described as "dazzling" by Michiko Kakutani in The New York Times, it's also been relegated to the shelves of "children's literature" by James Wood of the New Yorker, and panned in Paris Review by Lorin Stein, who not only trashes the book, but even dismisses the positive reviews, saying that those critics who praised the book are "afraid to say when a popular book is crap." To get a taste of both sides of this debate, you really should read this article by Laura Miller in The Guardian, or this one by Evgenia Peretz in Vanity Fair. In looking at other works, like The Great Gatsby and Catcher in the Rye, which were initially panned by critics and then went on to become classics, Peretz asks the question: "What makes a work literature, and who gets to decide?" Hmmm. This is obviously one of those rhetorical questions that is so much fun to debate. I almost wish I were still teaching. If I modified the question a bit to... "What makes a book great, and who gets to decide?" .... I would have to say that one of the things that makes a book great for me (besides a plot I can get lost in, evocative description, and characters I care about) is what I have come to refer to as "value-added." And by "value-added" I mean some aspect of plot or setting in the book which teaches me something new. 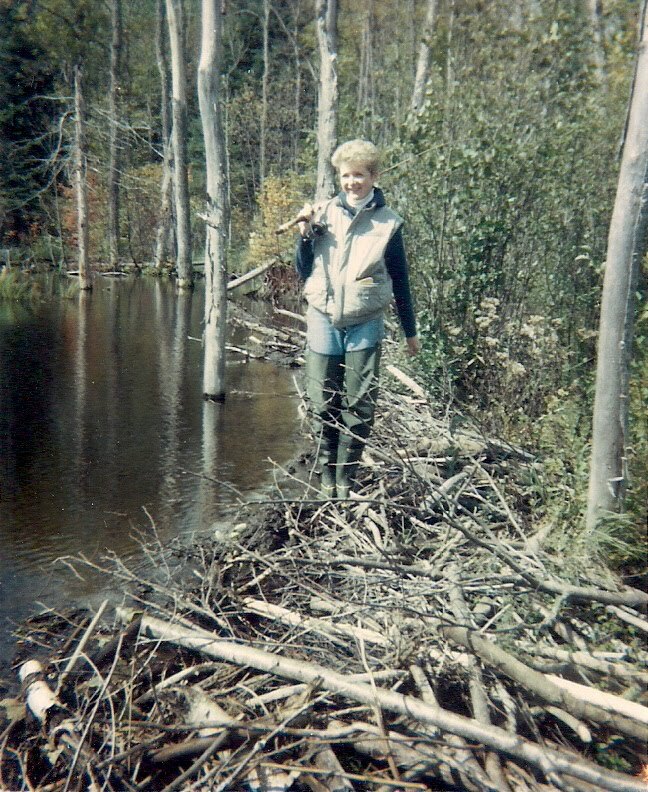 Or inspires me to explore, on my own, an idea, a place, or a person that the writer has touched on in the book. I love it when a book sends me off on a tangent to look up a quote, or explore a place, or the real life of a historical figure. The Goldfinch does this for me. 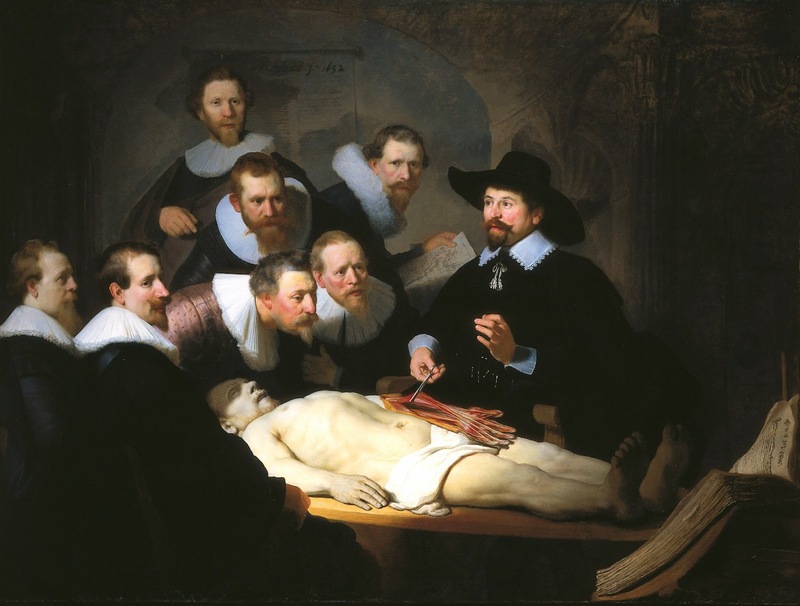 Like in an early scene in the book, when the narrator, Theo Decker, and his mother are in a museum and the mum describes the painting "The Anatomy Lesson" by Rembrandt. How it seems as if the body in the picture "lights up the faces of the men looking down at it. Like it's shining with its own light source." And how the two characters in the back of the painting seem to be "...looking at us. You and me. Like they see us standing here in front of them-- two people from the future." I love that bit. So, I had to stop reading right then and go look up that painting on the internet. Or the scene in which the same character explains to her son why she loves the painting "The Goldfinch" by Carel Fabritius so much. 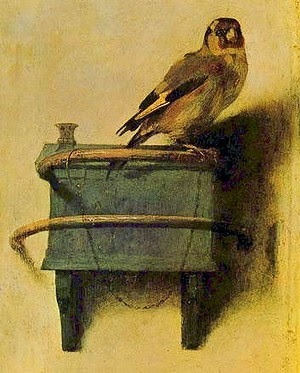 "It was a small picture, the smallest in the exhibition, and the simplest: a yellow finch, against a plain, pale background, chained to a perch by its twig of an ankle." And then when I saw that painting for myself... it looked exactly like I had envisioned it: a little gold bird... plain, fragile... heartbreaking, in a way. Tartt's prose made me understand how the character loves the painting and made me love the painting too. I'm only on page two hundred, so I can't pass judgement on the book as a whole. Yet. But I will say that maybe James Wood's comment that the book should be on the children's shelf is not far off the mark. And while Wood definitely means this as a criticism, I don't. Because I think that, like the best children's books, Tartt's novel creates an almost magical atmosphere, a world inhabited by fascinating people, who might seem a little unreal at times. But whom we desperately want to know, and to follow, to find out where they are going and what happens when they get there. And because thinking (and writing) about one book always leads me to another, and another, I will leave you with three other books that I consider "value-added" books. 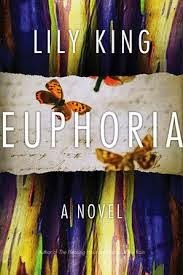 Lily King's brilliant Euphoria. Inspired by the real life story of anthropologist Margaret Mead, King's novel tells the utterly captivating and tragic story of three anthropologists on a field trip to New Guinea in 1933. Emily Eakin, in the NY Times Sunday Book Review, calls the book "uncanny" and "transporting." Yep. It sure is. King's book made me very curious about the real life of Margaret Mead, whose name I had heard, but whose work and life I knew almost nothing about. I always fancied Mead as a large, solid woman, rather like Julia Child. But she was tiny, as you can see in the picture below. 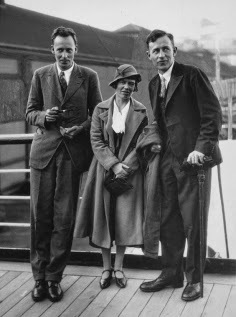 This is Mead with both her second and soon-to-be-third husbands. Tiny and brilliant, just like the character Nell in Euphoria. 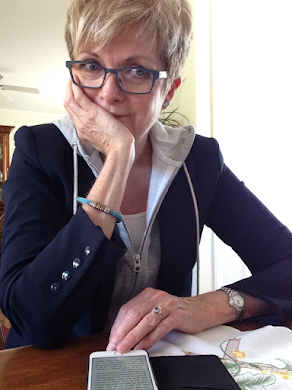 Elly Griffiths writes a whole series of "value-added" books. 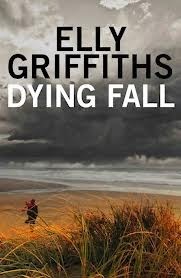 Griffiths' crime-fiction series features forensic archaeologist Ruth Galloway, who struggles with her job and her personal life, and at the same time stumbles upon, and solves, murders. Griffiths is a good writer and I really enjoy her books. But the "value-added" in them, for me, is the detail about archaeology and Celtic folk lore, Roman ruins and Nordic mythology which she weaves into her plots. As well as the beautifully atmospheric descriptions of the Norfolk coast. Ruth's cottage in the novel looks out over the Norfolk marshes, where the land and sea become one... and Griffiths makes you feel as if you might look up from the book and actually be there. Pretty much any book about Ireland has "value-added" for me. Especially now that Hubby and I have travelled there and I've actually been to many of the places I read about. 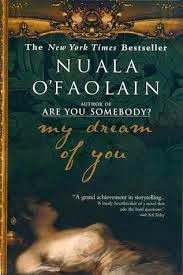 But, I think it was Nuala O'Faolain's book My Dream of You which first piqued my interest in Irish history. O'Faolain's exploration of the potato famine, and its lasting effects on modern-day Irish society, was fascinating to me. One reviewer remarked that O'Faolain and "so many other Irish writers" are preoccupied with the "inescapability of the past." I can identify with that "preoccupation" ...but I'm not sure that's an exclusively Irish thing. Nor a terribly bad thing. All of these books qualify as "great", to me. According to my definition, a great book must transport us to another place or time and immerse us in the lives of the characters. It must be beautifully and skilfully written. And it must have something else I call "value added"... it must teach us something, or inspire us to explore that something, whatever it is. And when I'm home visiting we always go on an outing to Gus's Used Books, where she's a regular. I love how, when he sees us, Gus rolls his eyes and says," Uh oh...here's trouble." And Mum laughs and shakes her cane at him. Gus knows everything there is to know about books. He knows what Mum likes, and is starting to know what I like as well. When we make our choices, he always stuffs an extra paperback or two into Mum's bag, then gallantly escorts us out to the car. I guess shopping for books at Gus's is what you might call "value-added" shopping. Your post was so well-written! I just spent the weekend in Fredericton, (with wild weather), and now want to go back and look in Gus' bookshop....maybe in warmer weather. Keep writing! Your posts are good reading. Thanks Wendy. So glad you checked out the "Books" section of the blog. I just added those topic sections a couple of weeks ago so that readers could do just that. I love Peter Robinson.... I'm not sure how you would label him. Feel free to pass along any other writers that you like. I'm always on the lookout for new writers, especially now that Reginald Hill (my absolute fav) has died, as well as P.D. James. Boo hoo. They will be missed. I've popped back to recommend a book I read recently called Flappers by Judith Mackrell . It's a rather gossipy read about six real women of the 1920s who each pushed the boundaries , so to speak . Some of the women are more interesting than others but , if you haven't read it , it is worth reading . For crime , I like the Maeve Kerrigan series by Jane Casey - not as good as Kate Atkinson but decent plots , some suspense & good characterization . The first one is The Burning .